How long has it been since your last crawl space inspection? Many people realize it is time to get one when they are planning to sell the home. However, if the damage is extensive at that time, it can decrease the value of your home. The Killers Crawl Space Restoration has the expertise to get your crawl space in good shape and keep it that way. Don’t wait to find out the damage has already begun to spread. 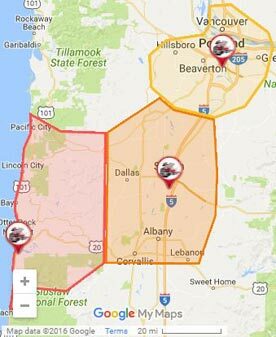 Call us for crawl space cleanup in McMinnville and protect your home. Damage to a crawl space comes from rodents, small animals, insects, mold, and moisture. Once these negative elements infiltrate the space under your home or business that damage can spread. Moisture can breakdown wood materials while mold follows suit. 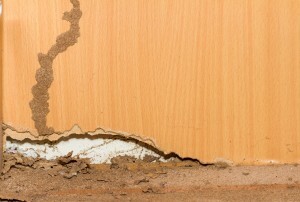 Termites and other wood-eating insects can damage the materials in your home all the way through to the attic. Bacteria and allergens can even move from the crawl space into the air ducts and ventilation of the interior of your home or office. That is why it is best to catch crawl space damage early. Getting a comprehensive crawl space cleanup along with regular inspections will keep your McMinnville home or business protected from this spreading damage. 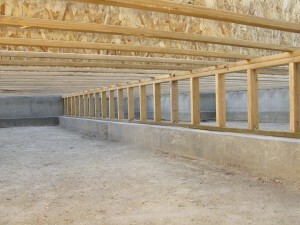 A crawl space is a small ecosystem and requires balanced ventilation to avoid too much moisture. After safely removing damaged and soiled materials from the area, we assess the quality of the building materials. We dry out any areas that need it and will replace those that are too damaged to restore. Our expertise includes pest control. We will completely eliminate whatever type of pests we find in the area. Once all the damaged materials are removed using safety precautions to ensure mold spores and bacteria are not spread, we replace the insulation and other materials necessary. The ventilation is then checked to be certain there is an optimal level of airflow. When that is achieved, we seal the area to deter rodents and other small animals from returning. Depending on the level of insect activity and the type of insects that have been active, we may suggest future visits by our exterminator. We want to do everything possible to keep the area safe and your home protected. When you work with us, you get straightforward information and honest quotes. What you won’t get is pressured into services you don’t need. We are committed to customer satisfaction. We are dedicated to getting every detail right, that is why we are able to guarantee satisfaction! Contact us today for an estimate on crawl space cleanup in McMinnville.